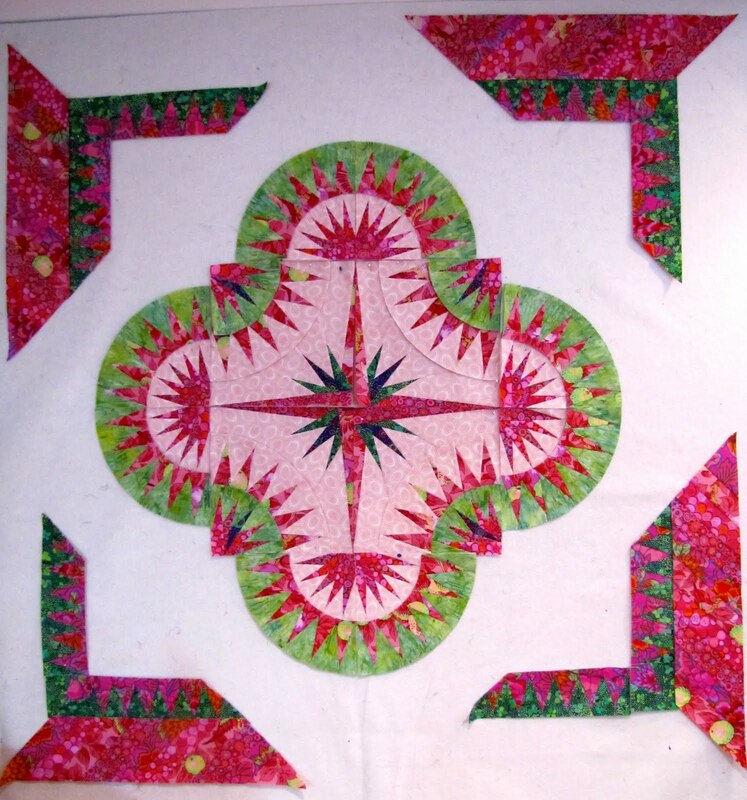 Remember my last post on this quilt, if not click here. I can say that I have been working away, little by little at paper piecing the border for my Judy Niemeyer quilt. All I can say is, I am in love with it!! Disclaimer: Sorry about the poor photo quality, it was night time when I took the photos and the lighting wasn't as good in my studio then. So here are the beginnings of the borders. There are left and right sides, so I had to make sure that I was placing them properly. This is definitely a reason a design wall is wonderful. Adding the other side. It is really shaping up. 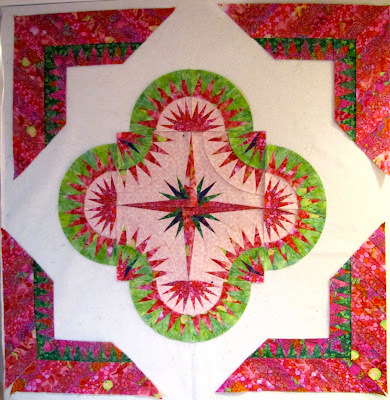 So after I put the pieced borders on the design wall, I realized that I didn't have any more paper piecing to do. I then began to fill in the blank spaces with the fabric that I had cut from the templates. Here is what it looks like. Grant it I still have to piece all the units together to complete the top, but oh am I just sooooo happy with it. Judy and Kaffe make a terrific pair, don't you think? 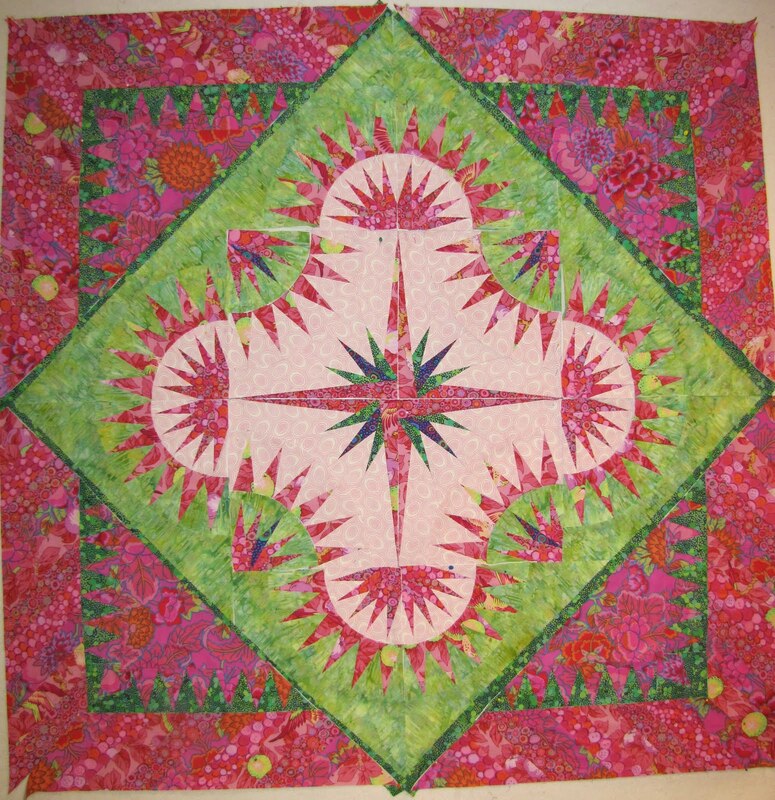 I am totally in love with this color scheme and the quilt. 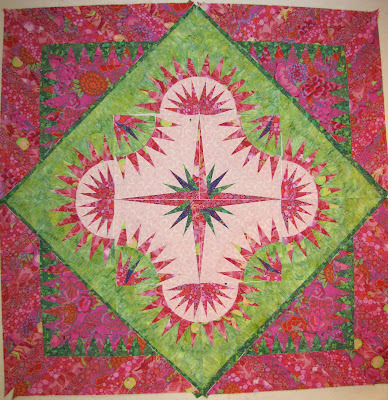 So, I was thinking of what I should name this quilt (I am not that good at naming quilts), and am failing at a good name. Do you have any thoughts on a good name?